Hey there, Kathleen! I’m so excited to have teamed up with you for the #MGGetsReal campaign—to highlight books with tough topics for “real” kids. I can’t express how important it is for people to be able to find themselves within the pages of a book, especially kids who can be so self-conscious during those awkward stages of puberty. It’s nice to kids to read about someone just like them. Huge congrats to you on your beautiful debut, The Last Cherry Blossom and Thanks for joining me for this Five in Five. My readers and I are excited to learn more about you, so let’s get started. Hi, Kerry. Thanks so much for having me! I had always enjoyed writing, whether in a journal, essays, or poems. However, 15 years ago, I was hospitalized for over a month and was diagnosed with Reflex Sympathetic Dystrophy (RSD). RSD is a neurological chronic pain disease. I began writing to escape from the pain, if only for a brief time. I actually started out with a picture book (now in a drawer) that I had written for my daughter because of my hospitalizations. My favorite part of being an author is meeting with students and sharing my mother’s experience in Hiroshima with them. My second favorite part is the research prior to writing the manuscript (which I tend to get caught up in much more than I should). Dandelion Wine by Ray Bradbury, was chosen by our book club a couple years ago. I expected it would be science fiction, a genre I don’t normally read. Instead, it was about a young boy’s summer – wanting to hold on to the ‘good times’ and his determination to log as many new experiences as possible, so as not to waste a single moment of summer. What touched me was the idea that you can’t live in only your good memories and you need to savor the unexpected pleasures because they balance out life’s bitter moments. If you could pick one famous person (author or otherwise) to be college roommates with, whom would you select and why? Judy Blume. After such fantastic books about dealing with adolescence-how great would it be going through college with some hilarity as well as sensitivity?! After I graduated from college, I acted in a dinner theater group at night after work. 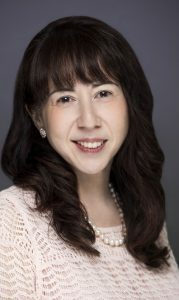 Cynthia Kadohata. The question would be, what was the most emotionally difficult book to write and why? 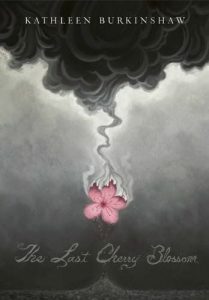 You guys, I am floored by Kathleen’s book, The Last Cherry Blossom (SkyPony Press Aug. 2014). I recently finished reading it and was moved in such unexpected ways. Beautiful, sad, heartfelt, poignant. Read it! You won’t be sorry.